A fitness visit to a sports medical center is highly recommended, to rule out any diseases that could create dangers. Few newcomers make it, but it’s really necessary. If you are ok but you have a serious problem of overweight, you must first “relieve you” following the directions of the doctor in order to avoid the stress on the joints, already strained by excess of weight. While starting, a walk of five minutes followed by one minute walking and one running alternated is strongly suggested. 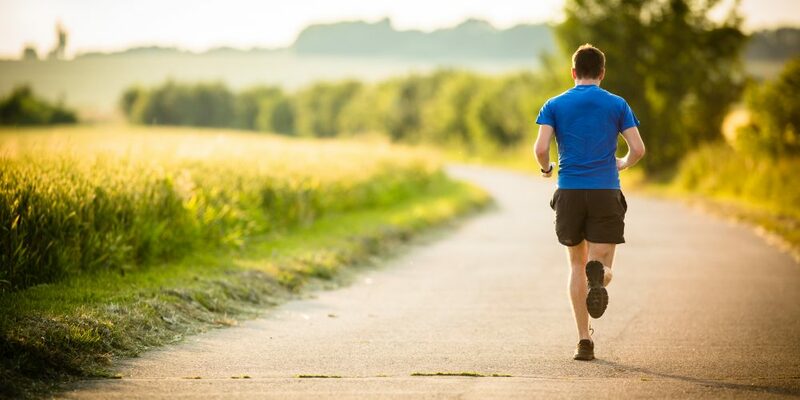 In the following days, you should increase the run of one minute, leaving unchanged the walking time, which means that on the second day you will run two minutes and walking just one, still alternating; the third day three minutes of running and one walking; the fourth day four minutes of running and one walking, and so on until you have improved your strength. The ideal is to run at least 2-3 times a week, so that you won’t lose the improvements acquired. During the run, you will get a lot warmer and the body will have the need of dissipating the heat. In summer it is enough to dress lightly while in winter you should dress like an “onion” with breathable clothing, easy to open (with hinges), gloves and ears-tie if the cold is biting, or if it is windy. Avoid the non-breathable waterproof jackets. The running shoes are the only tool you really need to run. There are specialty stores that can give you a hand to discover what is the most appropriate shoe to your needs, your posture, the support of the foot. Remember that shoes must be changed on a frequent basis. Inhale from both the nose and the mouth, so as to facilitate the flow of air into the lungs. Try to give a rhythm to your breath, according to the running speed and the steps you take. You will see that the pace of your harmonious breath will become spontaneous, without forcing it. If you get out of breath, do not force your breathing rather decrease the pace for a few minutes trying to recover the natural rhythm. And remember that even the muscles involved in breathing train and become more efficient running, thereby making breathing deep and effective. Your appointment with the running is also an appointment with yourself, nice, something that you dedicate yourself. For this reason, try to do it when you don’t have to stop in a hurry to do anything else, to enjoy the moment without stress and thoughts. Listen to music while running is a good way to relax and get a charge of positive energy. The cement of the platform is to be always avoided, because they are too hard, as the soil is too rough and stony. The asphalt has the advantage of less straining the muscles compared with other funds, but it can put a strain on the tendons and it doens’t train the foot to adapt to irregularities and to remain stable. The dirt and the regular dirt paths are preferable to the road because less affected by smog and traffic. They provide good cushioning. They are the most suitable terrains for the beginners, because the fund absorbs part of the stroke with the foot. Run with an empty stomach but full of energy from the previous meal. Digest and running are both activities that draw blood, if it flows into the stomach to play digestion you do not have to run, and vice versa. Having an appointment to run will serve as an incentive to get you off the couch, especially in cold weather. Also the race with a companion can become a time of sharing, you will both feel less fatigue and you will strengthen your friendship. The cold after a while passes and the rain is even fun while you run. Snow is also nice, you just have to be careful to avoid terrains that may have frozen overnight. Dress appropriately and remember the hat with a visor, which protects your eyes from the drops.